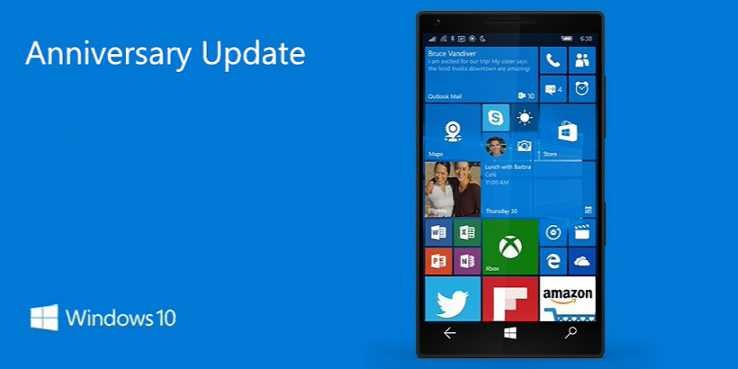 A new Windows 10 Mobile build 10.0.14393.693 is now available for Anniversary Update users. Microsoft also released Cumulative Update for Windows 10 Version 1607 for x64-based Systems (KB3213986) for PCs. The update KB3213986 will push Windows 10 PC build 14393.576 to build 14393.693 and mobile build 10.0.14393.693. This cumulative update brings no new feature, however, there are minor fixes and improvements for Windows 10 AU. Improved the reliability of Groove Music playback in the background, App-V, video playback and Remote Desktop. Addressed issue where after successful fingerprint authentication on a device with the screen off, the screen does not turn back on. Addressed issue where only one input device works when you connect two similar input devices to the same machine. Addressed issue in the App-V Connection Group that allows users to have access to pieces of functionality that they were not designated to for access. Addressed issue that prevents users from selecting multiple certificates simultaneously through the UI. Addressed issue where the Request Control function does not work with Remote Assistance if the user being assisted is on Windows Server 2008 R2 or Windows Server 2012. Addressed issue with license conversion of Server Core from evaluation version to a retail version. Addressed issue that prevents users from opening Internet shortcut (.URL) files with Internet Explorer when Enhanced Protected Mode is enabled. Addressed issue that prevents users from logging on if a device has been away from the corporate network over a period of time. Addressed additional issues with Microsoft Edge, clustering, Internet Explorer, Windows Update, input devices, facial recognition, Logon, Hyper-V, PCI bus drivers and Windows Kernel. Also, Windows 10 insider PC build 15002 is now available for fast ring members. The company will release Windows 10 Creators Update in April 2017. For more details check out below posted links.